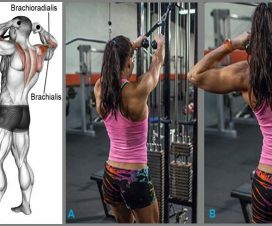 Are your shoulders the weakest part of your body? 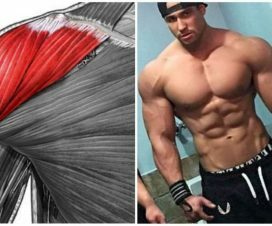 The uncomfortable truth is that a lagging shoulder area can never go unnoticed, so you need to stop whining about genetics and start building it ASAP. 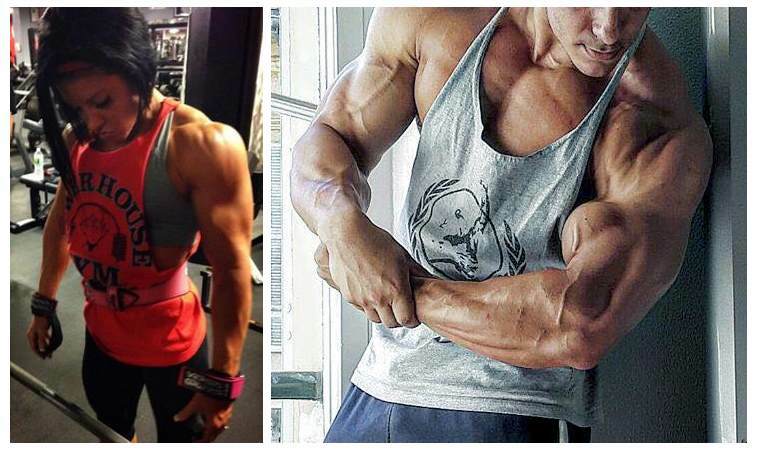 Nothing symbolizes great strength and superior masculinity more than a pair of huge, sculpted shoulders – whether they admit it or not, most guys would gladly choose to have a pair of modestly sized arms and mighty, attention-grabbing shoulders rather than gigantic arms under a pair of flat delts. 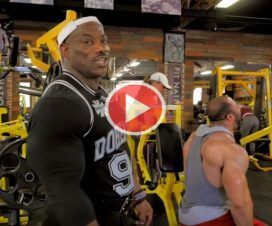 Since we know how difficult constructing an efficient shoulder routine can be for most guys out there, we’ve created this ultra-powerful sample workout that will help you make those bad boys burn like hell and stimulate maximum growth. The fact that shoulder width is genetically determined for the most part doesn’t mean that you’re stuck with narrow shoulders for the rest of your life. 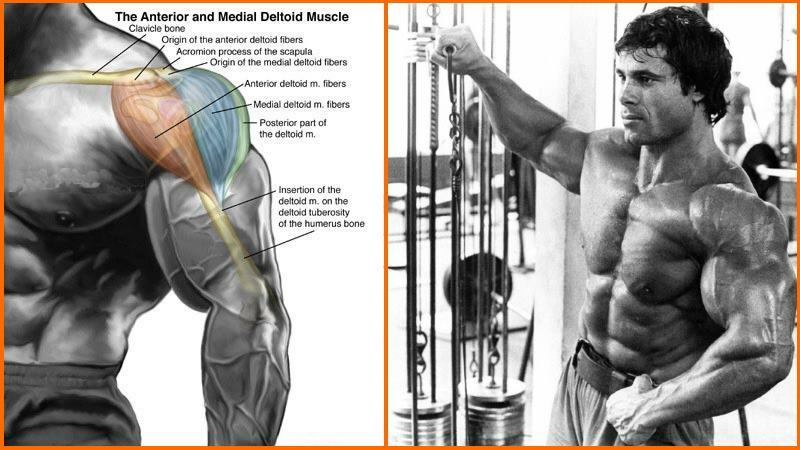 In fact, you can build some serious width in your delt region by hitting the lateral part of it as hard as possible. Just remember to keep your lats flexed throughout the movement in order to better isolate your delts and force them to move the weight instead of the traps and you’re guaranteed to get a grueling shoulder workout. Perform 5 sets with 12-15 reps each. This move is a powerful variant of the conventional shoulder press that involves a bit more core work, but it’s definitely worth your time if you have both building strong shoulders and a bigger bench press among your goals. In addition, this unique lift will enable you to completely overload your delts like never before. Perform 4 sets with 8-10 reps each. Although considered a staple in powerlifting circles, this lift is severely underrated and underutilized in the general bodybuilding population. The rope face-pulls are a multi-functional move that can build your shoulders and improve their health, balance the shoulder joints and correct your overall posture. Unfortunately, it’s very rare to see them being performed properly, so follow these instructions to maximize the effectiveness of this great exercise. Perform 4 sets with 15-18 reps each. The process of building huge, strong shoulders isn’t all about lifting heavy things – it’s also about maintaining optimal shoulder health. If shoulder injuries are on the top of your list of annoying setbacks in the gym, you’re very unlikely to achieve great development in these vulnerable muscles. And this is where the Cuban press comes to play. 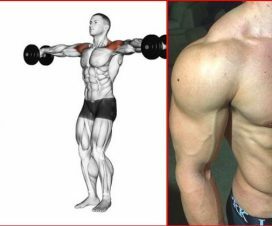 This move emphasizes the rotator cuff muscles, which are the weakest link in many lifters’ shoulders. Use it to build the integrity of your shoulder joints and strengthen the infraspinatus, the thick triangular muscle of the rotator cuff. Perform 4 sets with 12-14 reps each.